You are going to Watch Naruto Shippuden Episode 331 English subbed online free episodes with HQ / high quality. 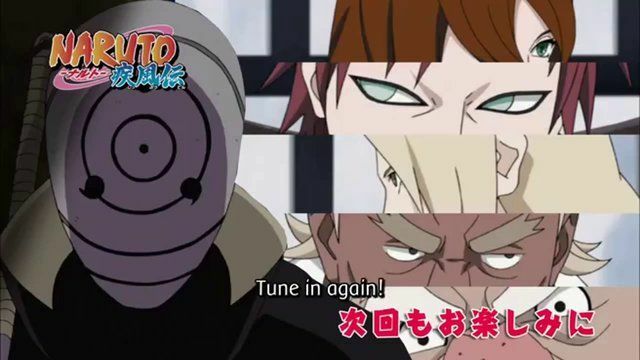 Stream Anime Naruto Shippuden Episode 331 Online English sub Eyes That See in the Dark. Having escaped from the Mountains’ Graveyard, Sasuke wanders through a small town to discover that it is deserted, leading him to be confused. Meanwhile in the Hidden Leaf, Konohamaru and his team-mates patrol through the village in order to watch out for the enemy when they heard an angry voice of a prisoner from the Leaf’s Intelligence Division. It is revealed to be Karin, who is feigning her mental instability to lessen the guards’ attention and begins to plot her escape. At the same time, Jūgo and Suigetsu continue their search for Sasuke, arriving at one of Orochimaru’s hideouts.